Chaperone Information Youth under 8 years of old must arrive and remain with a chaperone throughout the day. The $25 chaperone ticket includes access to the space, a showcase ticket, morning coffee and lunch. Showcase tickets If you are not registered for the festival but would like to watch the Showcase, you must purchase a $10 showcase ticket. Refunds Full refunds available up to a week before the event on June 15th. 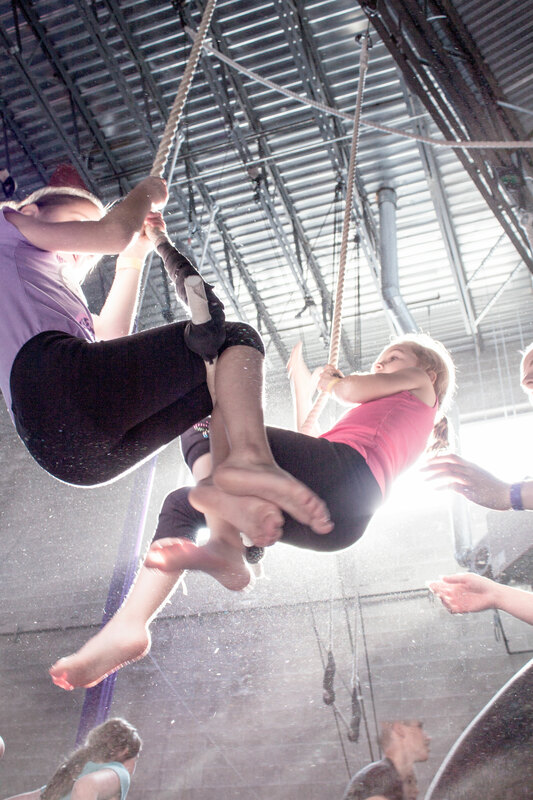 After June 15th, refunds are available only in the case of extraordinary circumstances, like a serious injury, by emailing accounts@americanyouthcircus.org. Questions Any questions about registration should be directed to info@americanyouthcircus.org. Questions about the festival itself and workshops can go to info@commonwealthcircus.com. IMPORTANT: To attend the festival, you must follow all three steps: 1) Register, 2) Sign Up for Workshops, and 3) Sign Waiver! Festival Pricing Philosophy Statement: As part of our social circus focus for this event, we are offering a variety of price points so that youth from different socio-economic backgrounds can attend. We encourage each participant and family to pay what they are able to. Please pay more if you can and less if you can’t! How to Pick a Ticket Price: We acknowledge that talking about money can be uncomfortable! Our intention with this tiered pricing structure is to create a festival that is inclusive of youth participants from a wide range of economic backgrounds. We do not intend to offend any current or potential community member! If you have concerns or questions about your ability to participate financially, please contact us at info@commonwealthcircus.com. When selecting your ticket price for the 2019 Boston Regional AYCO Festival please consider the income guidelines listed below. These are general guidelines; we understand that people may have factors and circumstances to consider in addition to these, but we offer them to try to help each family find the most appropriate category). All participants must sign a waiver before participating in the regional. The workshop leader application deadline is May 15th. The Showcase is aasual opportunity to show off your skills to everyone at the end of festival! The showcase application will open closes Saturday, June 15th.